Finding a good quality used pickup truck isn’t necessarily hard, but it is if you are on a budget. The pickup truck segment carries with it a larger price tag than other vehicle categories, in part because of the body style, but mostly due to the capabilities that trucks inherently offer. If you have had a hard time finding a high quality used trucks for sale within your designated budget, you aren’t alone. In mid-December, PRNewswire released a study conducted by CarGurus regarding this very subject. The study tracked whether a gap exists between the prices of used pickups and other vehicle styles, and the findings are overwhelming. The data showed that the average cost of a used pickup truck is 22% higher than it was just four years ago. CarGurus attributed this large percentage increase to an overall higher MSRP that new trucks feature. The study also found that the demand for used pickups has increased exponentially over the past year, noting that car shoppers have inquired about buying used trucks 36% more than they did last year. Industry experts guess that the increased interest in pickup trucks is due to the decreased price of gasoline, as well as the upswing in the American economic climate. If you are a part of the 36% of Americans who are searching for used pickup trucks this year, but aren’t wanting to break the bank to get behind the wheel of one – you are in luck. Earlier this month, U.S. News published a list of the best used pickups for under $15,000, and we are delivering those highlights directly to you. Check out the top rated used trucks to buy in the next few months, that won’t force you into bankruptcy. 2009 Toyota Tacoma: Toyota’s pickup truck offering received plenty of updates for the 2009 model year, but not a complete redesign. With a slightly altered exterior, the Tacoma delivered a fresh new look for customers eager for a sleek and capable pickup. 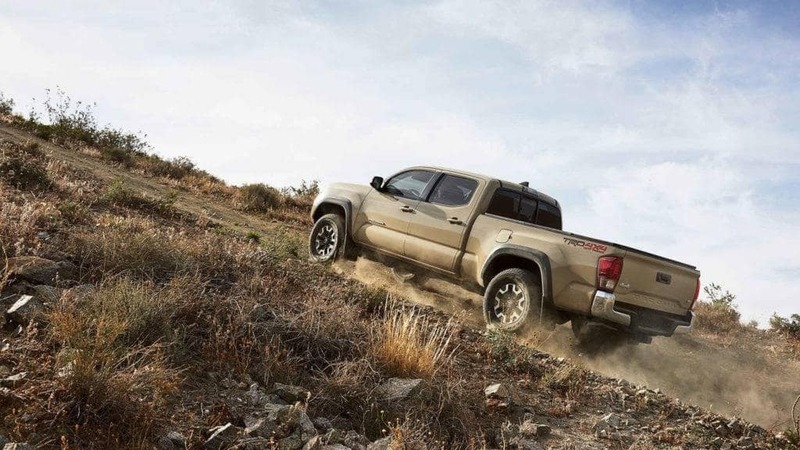 Equipped with a standard 2.7-liter engine capable of delivering 159 horsepower and 180 lb.-ft. of torque, the Tacoma was also available with a more powerful 4.0-liter V6 capable of 236 horsepower and 266 lb.-ft. of torque. With traction and stability control standard for the first time, the 2009 Tacoma makes the perfect used truck to buy in 2017. Depending on condition and amenities, used shoppers can expect to find a pre-owned Tacoma listed for anywhere between $10,000 and $20,000. 2009 Nissan Frontier: Another exceptional 2009 pickup truck for used buyers, the Nissan Frontier features incredible off-road capability and high reliability ratings. Categorized as a compact pickup, the Frontier received a slight makeover in 2009, including a new front fascia, headlights, and optional leather seating. The base 2.5-liter engine gets 152 horsepower rating, and 171 lb.-ft. of torque, while the more powerful V6 delivers 261 horsepower and 281 lb.-ft. of torque. With a maximum towing capacity of 6,500 pounds, the 2009 Frontier makes a powerful and performance-ready used truck. Used shoppers can expect to pay between $9,000 and $19,000 depending on condition, mileage, and other factors. 2009 Chevrolet Silverado: 2009 must have been a good year for the pickup truck segment, with the third truck to make the list from this same model year. This Chevy pickup is a full-size truck with exceptional value, power, and standard features. Chevy introduced the Silverado hybrid model in 2009, as well as a new 6.2-liter V8 engine that could run on E85 fuel. The most powerful engine in the pickup’s lineup, the new V8 delivers 403 horsepower and 417 lb.-ft. of torque for a maximum towing capacity of 10,700 pounds. The interior cabin of the 2009 Silverado was made with high quality materials and comfortable seating for longer trips. Used buyers can find a good quality 2009 Silverado starting around $10,000, and pay as much as $22,0000. 2009 Ford F-150: The blue oval brand delivered a high quality full-size pickup in 2009, which was recognized for its highly refined interior and upscale design. Completely redesigned for the 2009 model year, the F-150 also added a new E85 ethanol V8 engine to its lineup. The 5.4-liter V8 has a max towing capacity of 11,300 pounds, outdoing the Chevy Silverado by 600 pounds. Used truck buyers can find this version of the F-150 for anywhere between $10,000 and $24,000. 2010 GMC Sierra 1500: Still riding on a 2007 redesign, the 2010 GMC Sierra 1500 did not undergo any major changes when it was released. One change that was implemented in the GMC pickup, however, was flex-fuel capability across the board. All available engines for the 2010 Sierra 1500 could run on either regular gasoline, or E85 ethanol. StabiliTrak became standard on the 2010 model, as well as USB media ports. Power and performance ratings on the 2010 Sierra are good, and range from light duty to a heavy duty 6.2-liter V8. If you are looking to buy a high quality used pickup truck for less money, you should be able to find this version of the Sierra for right around $15,000. The used pickup truck market is a tricky one to navigate, especially without the advice of industry experts. Here at DePaula Used Cars, we have a knowledgeable staff ready to help you through your used pickup purchase. With plenty of industry expertise, DePaula Used Cars can help guide you toward finding which used truck is the right one for your lifestyle. Whether you need a high-performing truck with heavy-duty towing capability, or simply want a compact pickup because you like that particular vehicle type, DePaula Used Cars can help. As a part of the DePaula Chevrolet family, DePaula Used Cars prides itself on providing high quality pre-owned vehicles to residents of Albany, NY, and the surrounding communities. With a full inventory selection of used vehicles from every major automotive manufacturer, DePaula Used Cars is truly a one-stop shop for all of your used car and truck buying needs. If you are ready to buy a dependable used pickup truck today, or are simply researching which make and model is right for you, we are here to help. Stop by today, and discover the difference that DePaula Used Cars has to offer.